Another day, another celebrity makeup line on the way! One of the UK’s most popular girl groups Little Mix is entering the world of beauty. After topping charts in their homeland and conquering the U.S top lists, the infamous pop group decided to offer a special treat for all of their fans – Little Mix is officially launching a makeup line. The girls from Little Mix won our hearts ever since they showed up on The X Factor in 2011. Now they are expanding their fan base in the world of beauty. It seems that the upcoming makeup brand dubbed LMX is a natural extension of their flawless makeup looks they sport on the stage, red carpets and in their music videos. The energetic Quatro is always serving gorgeous and at times very dramatic makeup looks. Very soon fans will be able to get a peek into their beauty routine and easily copy their looks. Little Mix took it to Instagram to announce the exciting news. “We wanted you to be the first to hear about something we’ve been working so hard on…introducing LMX by Little Mix and our first ever limited edition cosmetics range,” the brand wrote on their account. Judging by the video teaser, the famous girl group is coming out with a vibrant makeup range that includes lipstick, eyeshadow palette, pigments, and a few more products. Everything moves so fast in the video that you can’t tell what are the exact products that Little Mix will be launching. However, you can see the members playing with pigmented eyeshadows, glossy lips, and luxury brushes. According to a statement, here is what fans should expect from LMX. “Years of experimenting with different looks means the girls really know their cosmetics and their collection makes no compromises, with high-performance, heavily-pigmented formulations that suit every skin tone, unbelievable highlighters, velvety matte lips and high-impact colours,” Little Mix told Cosmopolitan. These girls are never afraid of an over-the-top full glam, so chances are that their makeup products will be as bold as their makeup looks. Although they like to experiment a lot, each of the members has a signature beauty mark. 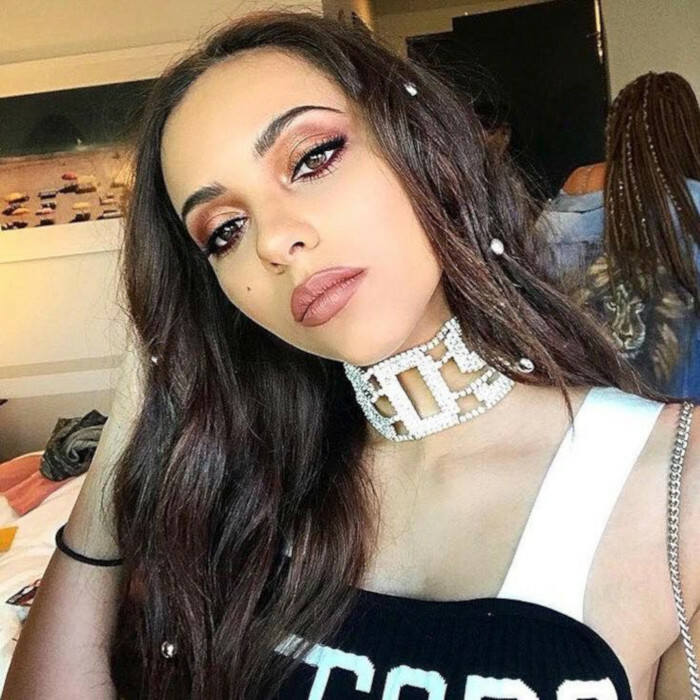 Jesy Nelson often sports a classic warm smoky eye, Leigh-Anne Pinnock is famous for her flawless feline flicks, Perrie Edwards loves to show off her freckles and Jade Thirlwall is obsessed with matte lips. The LMX makeup line by Little Mix will launch in September. According to the group, fans would be able to purchase the products at Boots UK. Unfortunately, this indicates that the upcoming makeup line will be available only in the UK. International fans immediately took it to the comments to complain about the limited availability. Almost every other comment is asking the girls from Little Mix to make their new makeup brand available all over the world. Although there is no official word if this will happen, Jesy, Perrie, Leigh-Anne, and Jade will hopefully fulfill the requests of the Mixers around the globe and make LMX more accessible.